Calc. Sulph. is used for acne or pimples and skin or infections that are slow to heal. Tissue salts are the inorganic mineral compounds which the body requires in order to function properly and maintain homeostasis. An imbalance in the inorganic compounds of the body's tissues can cause dysfunction or disease states within the body. These tissue salts are very rapidly assimilated by the cells of the body, helping the body to return to normal function. 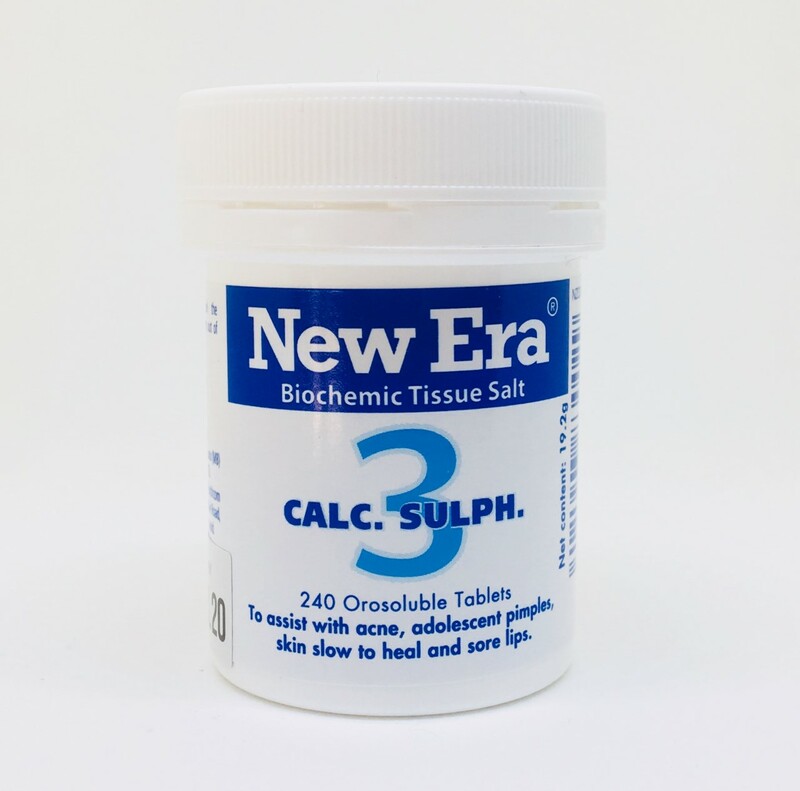 And because tissue salts are prepared using a homeopathic method, they are safe for all ages and do not cause side effects, they are merely stimulating the body to absorb and utilise specific mineral compounds that may be lacking in the body. Recommended dosage: adults 4 tablets, children 2 tablets and infants 1 tablet. Take recommended dosage three times daily for chronic cases, or every half hour for acute cases.